Atrial fibrillation (Afib) is a cardiac dysrhythmia (an irregular heart rhythm) in which there is chaotic electrical activity in the upper chambers of the heart (at 350-600 beats per minute). This causes them to quiver instead of contracting in an organized way. These electrical impulses then travel to the ventricles resulting in an irregular and usually rapid heart rate or pulse. A person may notice no symptoms of Afib and may not be aware of having the condition until it is identified through a screening or physical examination. Approximately 2.4 million adults in the United States currently have Afib and this is expected to increase to over 5 million by 2040. Afib is seen in every adult age group but the prevalence increases with age. 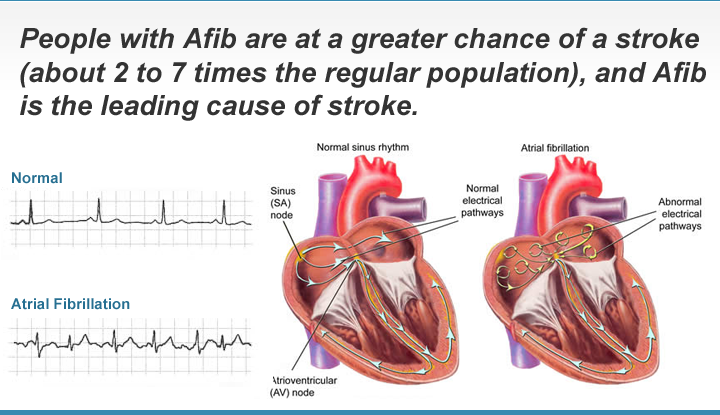 Purpose: People with Afib are at a greater chance of a stroke (about 2 to 7 times the regular population), and Afib is the leading cause of stroke. Procedure: The technologist will apply 4 electrodes to your body; two on the wrists and two on the ankles. Then the ECG will take a 10 second measurement of your heart rhythm. Our physician that specializes in reading ECG’s will then analyze the heart rhythm to see if Afib is present. You will receive the results in the mail at the same time you receive the results for the other tests. 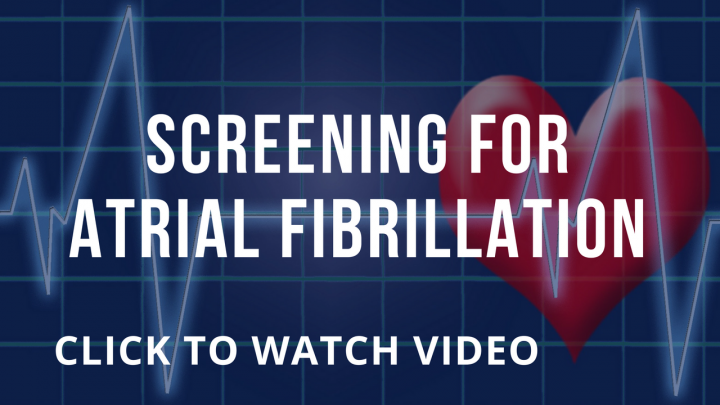 Click below to watch a short video on how we screen for atrial fibrillation.